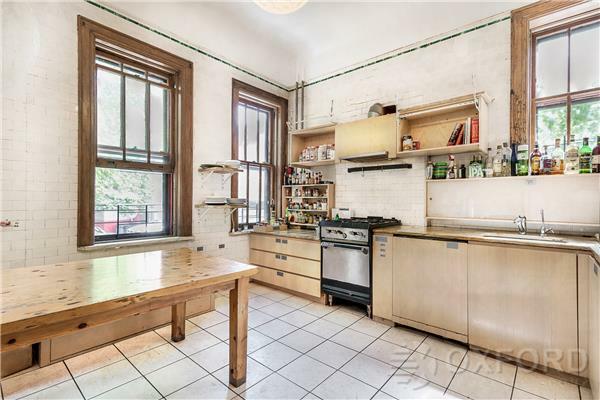 Oftentimes renting in Brooklyn means cramming into a modest apartment with roommates or building out a loft bed in a former warehouse space. 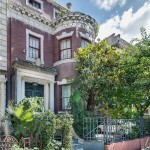 You don’t typically think of sharing a massive three-story townhouse. 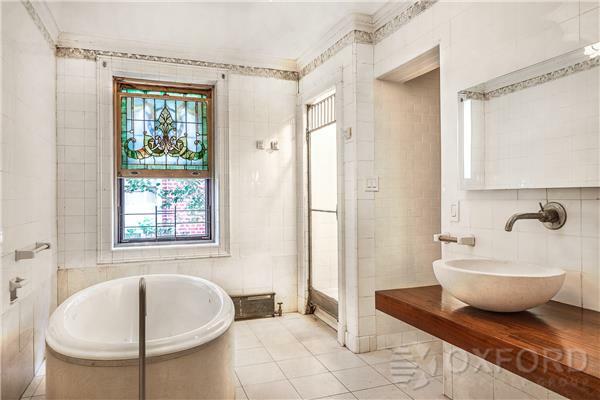 But this historic home at 851 Park Place in Crown Heights is now on the rental market for $11,000 a month. 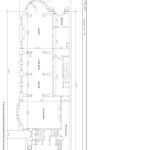 There are eight bedrooms total (! 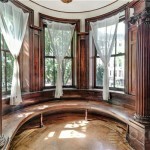 ), plenty of well-kept historic details, and extra spaces like a library and card room. 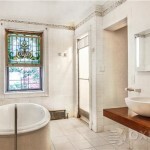 Not a bad way to rent in Brooklyn. 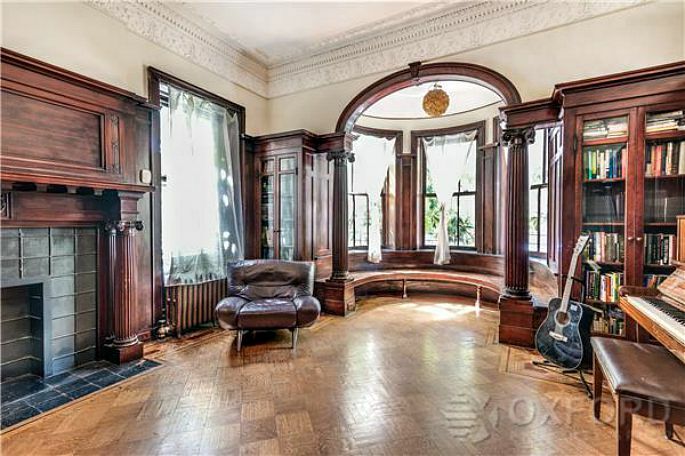 The home is pretty much dripping with historic features, like this sitting room flanked by dark wood columns. 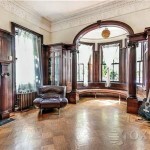 The living room has beautiful wood floors, a fire place, decorative moldings, and built-in wood cabinetry. 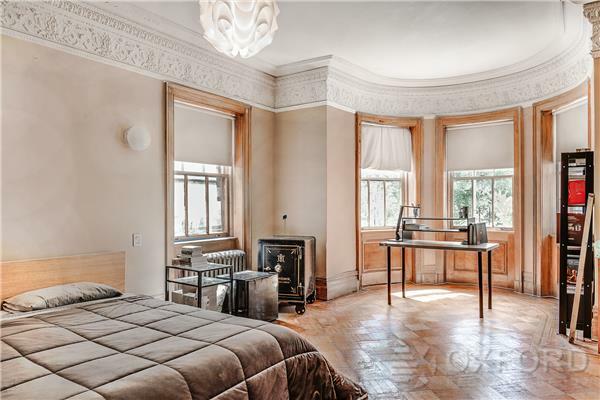 And this is only one room of many — the listing says there’s also a library, card room, and dining room. (Unfortunately, there aren’t any photos of those extra spaces.) 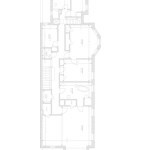 In total, the home spans 8,500 square feet. 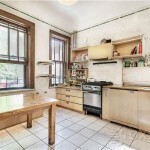 The kitchen looks a little outdated, although we do like the white-painted exposed brick and big windows. 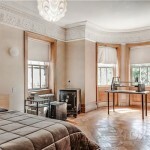 Here is just one of the eight bedrooms. 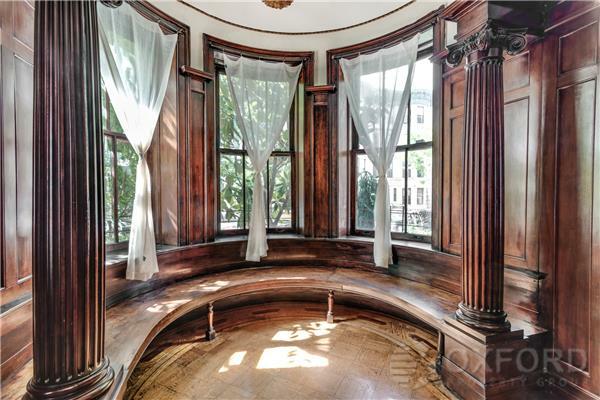 How beautiful are those moldings and the wood-paneled windows? High ceilings throughout the townhouse also seem to bring in lots of light. 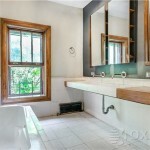 Even the bathroom has a stained glass window, which is paired with some modern upgrades like the sink and tub. 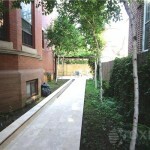 Finally, lots of interior space comes with lots of exterior space. 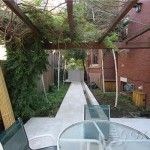 There’s a lovely and shaded front patio space with a walkway that leads to a covered patio in the backyard. 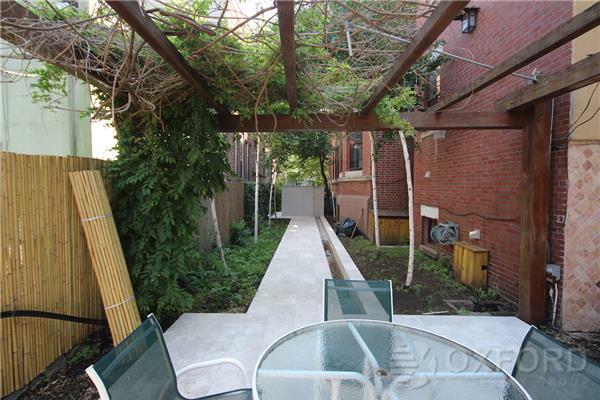 Overall, you just can’t go wrong renting a gorgeous old townhouse with this much space.